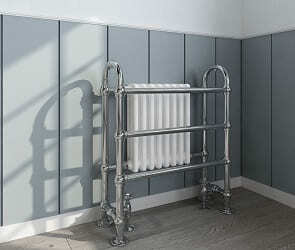 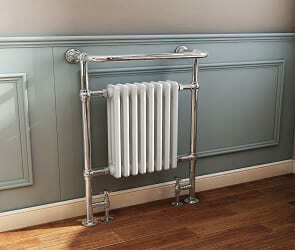 Heated Towel Rails | Towel Radiators 5% discount? 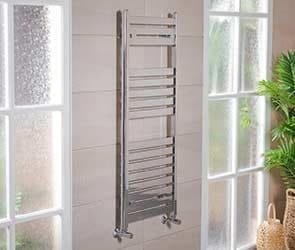 Our extensive range of heated towel rails and towel radiators will keep your linen nice and dry for when you need it most. 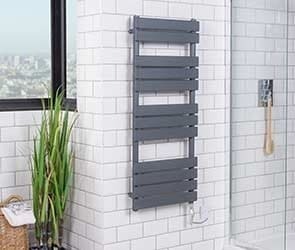 These toasty space savers offer both style and function to your bathroom. 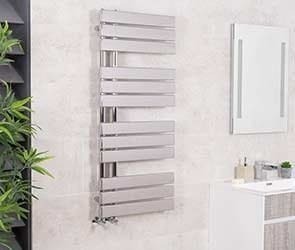 We have a wide range to suit any bathroom suite, from designer towel radiators for a contemporary modern bathroom design to classic Victorian styles to complement a more traditional bathroom. 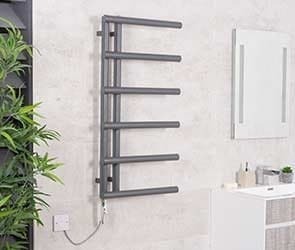 We offer towel radiators in a number of shapes, sizes and finishes, so whether you are looking for an ornate chrome rail to serve as a statement piece or a low-key straight white towel rail as a discreet but functional feature we have you covered. 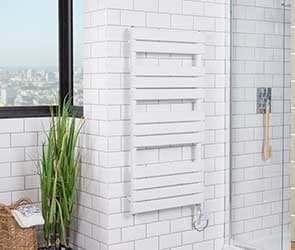 We also stock a number of electric heated towel rails that take the hassle out of the installation process as they require no plumbing, only access to a power outlet. 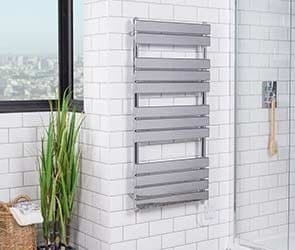 Another benefit of the electric rails is that you’ll have dry towels all year round without having to run the expensive central heating through the summer months. 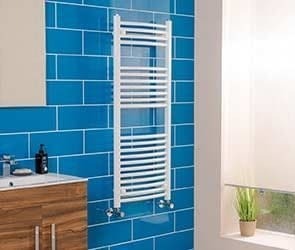 At Bathroom Takeaway we’re confident that you’ll love the quality of our products, so much so that all of our heated towel rails come with a 10 year 'Fit and Forget' guarantee.